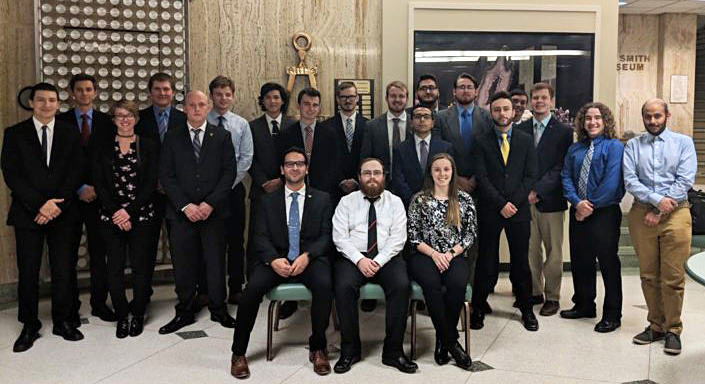 Image of the new Tau Bates at YSU. On Wednesday, January 30, Marla Smith-Nilson, AZ A ’91, will kick-off the spring 2019 talks at the University of Arizona (UA) as part of the “Lesson in Engineering Leadership” series. She is the founder and executive director of Water1st International, a Seattle-based nonprofit has provided safe water and toilets to 208,000 people in 2,700 communities around the world. Smith-Nilson earned her bachelor’s degree in civil engineering from UA. Click here for more details and to RSVP. We encourage you to check out the Tau Beta Pi YouTube channel. We recently uploaded six new videos from collegiate chapters at: CA Zeta, CO Alpha, CO Beta, MN Alpha, NE Alpha, and PR Alpha. The videos were submitted as 2018 summaries of activities that the chapters participated in. The video above was submitted by the MN Alpha Chapter at the University of Minnesota-Twin Cities.